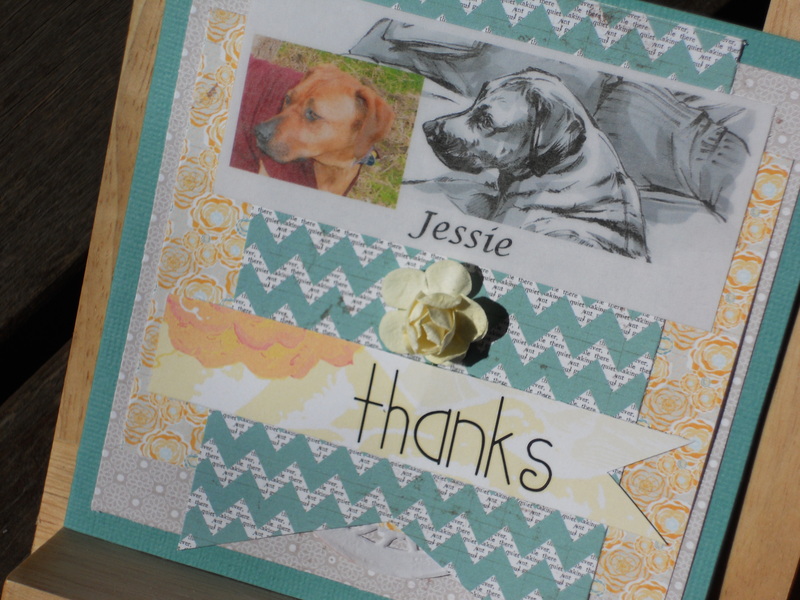 Thank you cards were made for our local vet – Hastings Veterinary Clinic, and to AEC in Hallam for their wonderful support in helping Jessie with her illness – she swallowed a mango pip and it lodged in her after her stomach. Jessie is wearing a bodysuit I made for her after her operation to keep the stitches and bandage clean. Of course she slept with me for 2 weeks until her stitches came out. This meant ‘daddy’ (my partner) had to sleep in the spare bedroom as Jessie tends to move around and scrunch up her bed alot during the night! 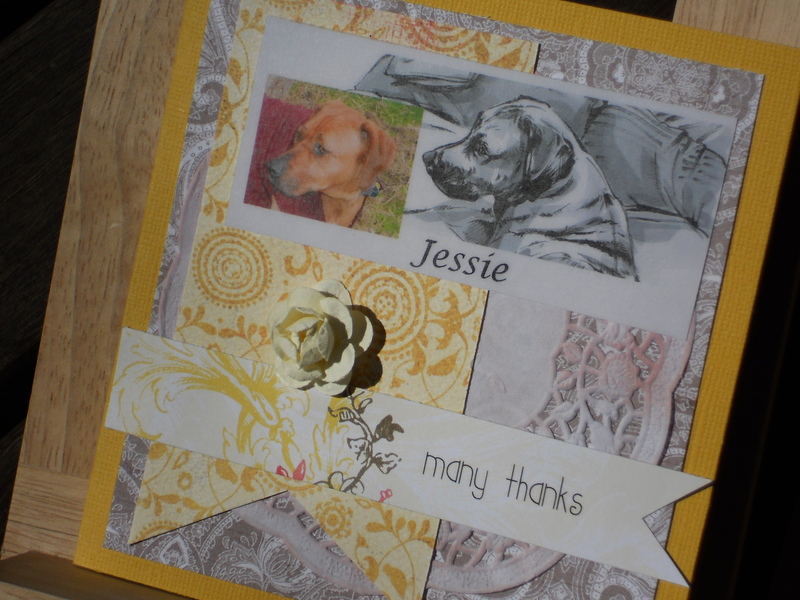 Lots of layering of paper from Lime Tart Collection. Picture and drawing adhered with Jac paper.